British artist Damien Hirst poses with a diamond-encrusted platinum skull in this undated handout file photograph released in London June 1, 2007. The skull, by artist Damien Hirst, has been sold to an investment group for the asking price of $100 million, a spokeswoman for Hirst’s London gallery White Cube said on August 30, 2007. 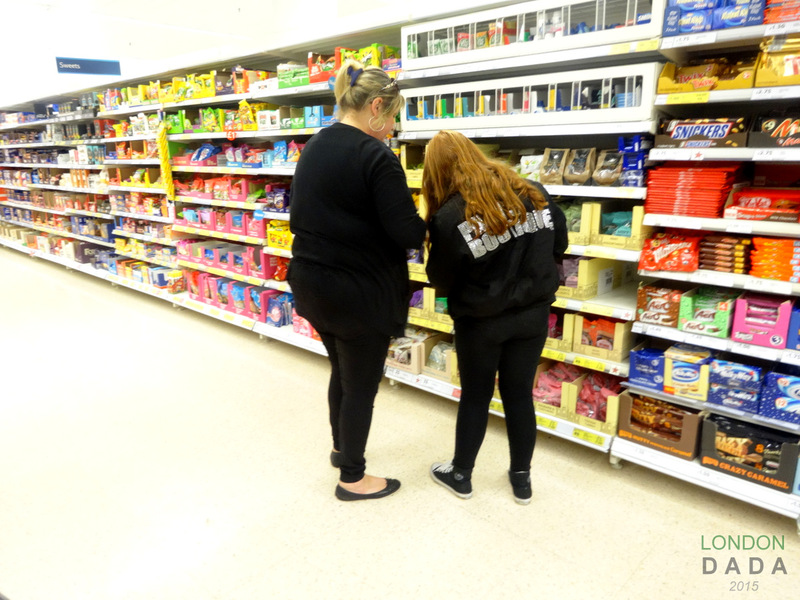 Mother helps child select T2 Diabetes obesity-inducing high carb / high sugar / negligible nutrients products from a perpetually well-stocked long supermarket sweets & snacks aisle. ” Art, for us, is not an end in itself but an opportunity for true perception and criticism of the times we live in“ – Hugo Ball, father of Dada.